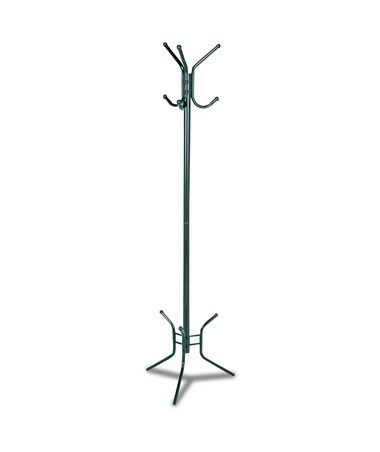 The Safco 6-Hook Coat Rack is a sturdy rack for hanging coats that has three double hooks making it a total of six hooks. Each hook has a weight capacity of 10 pounds and a rounded blunt tip to prevent garments from damaging. This rack stands 70.5 inches tall on a 20.5 inches diameter tripod base. 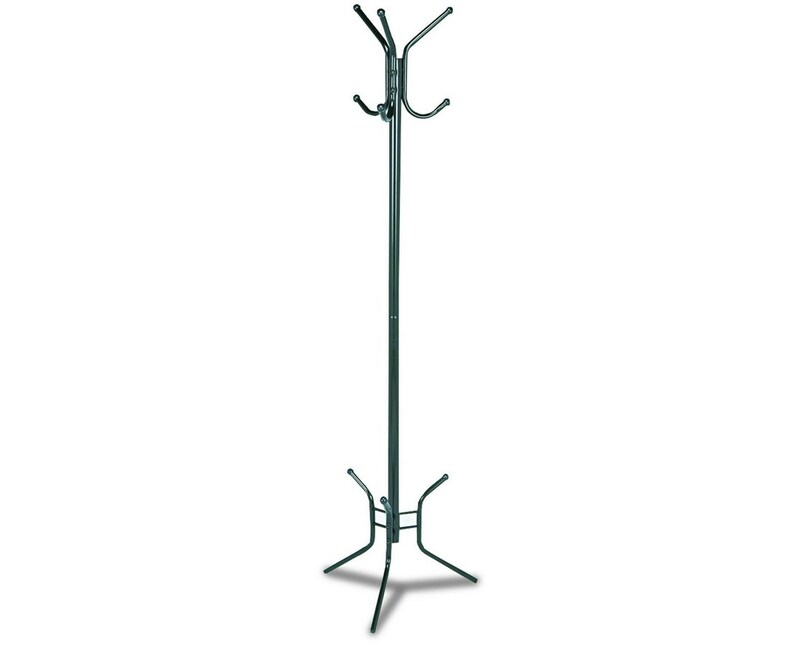 It is made of steel and recycled materials and has a durable powder coat finish. It is also safe for indoor use as certified by GREENGUARD.